stop right now, the speculation is over! get ready to spice up your life! two decades after the spice girls revolutionised the 90’s pop landscape - emma, mel b, melanie c and geri will be at the ricoh on Tuesday 4th june 2019! 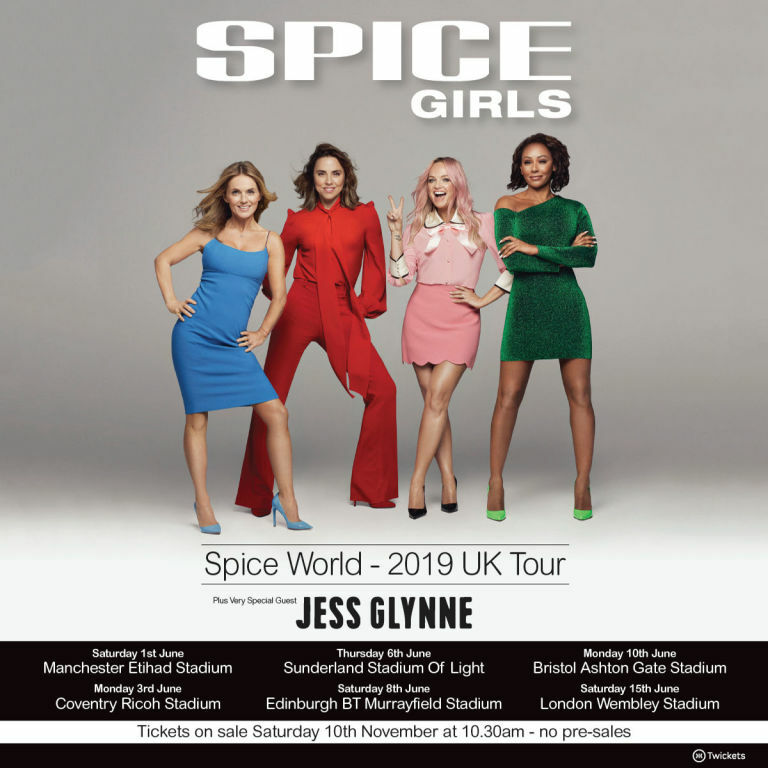 the era defining, history making, best-selling female group of all time are bringing girl power back in full force as they reunite on stage for the first time since the london 2012 olympics, hitting stadiums across the uk and proving you never give up on the good times.